Watch EXTRA for the Word Of The Day and a chance to attend the Grand Opening of Universal's Volcano Bay water theme park. 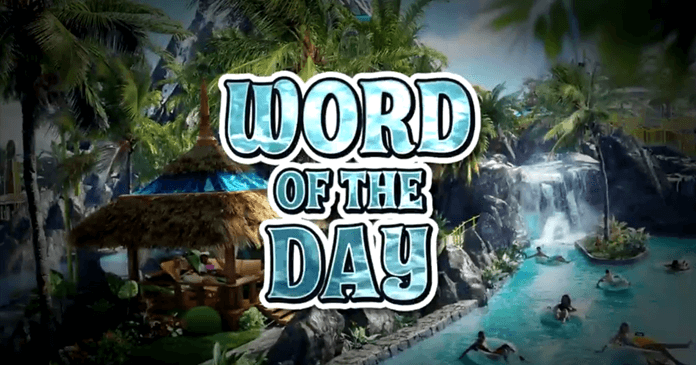 All this week, join Mario, Charissa and Tracey Live at Universal Orlando as they will reveal a daily Word Of The Day for Extra’s Universal Orlando Sweepstakes. Tune in to the Show every between April 10 and April 21 the new secret word and you chance to win a trip for two to Universal Orlando Resort to attend the Grand Opening of Universal’s Volcano Bay water theme park. Can’t watch EXTRA? Be sure to come back here every weekday through April 21st to find out about the correct Word Of The Day and enter the Sweepstakes at extratv.com/universalorlando. This might be your best chance to attend this VIP Preview event. Now that you know today’s word of the day, go online to extratv.com/universalorlando and follow the instructions to complete and submit the entry form to receive one Sweepstakes Entry for today. Open only to legal residents of 48 contiguous United States or the District of Columbia, who are 21 years of age or older prior to May 24, 2017. The Sweepstakes Period commences at 12:00:01 a.m. PT on April 10, 2017 and ends at 11:59:59 p.m. PT on April 21, 2017. Limit one entry per day per person throughout the Sweepstakes Period. Winners will be selected at random at the end of the Sweepstakes Period, on or about April 24, 2017. Total approximate retail value of all prizes is $21,201.20. This Sweepstakes sponsored by Warner Bros. Worldwide Television Marketing 4001 West Olive Avenue, Burbank, CA 91505. See official rules for complete details.